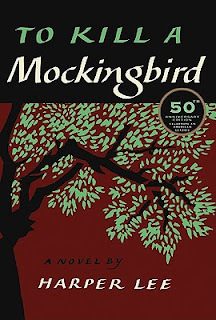 Have you read To Kill a Mockingbird by Harper Lee? If your education was much like mine, at some point around age 14 or 15 you read this fantastic novel. If you were like me, you read the novel fourteen times over in the span of time that your slowpoke class discussed each chapter one by one by one.. I do remember devouring the book more than several times within a few weeks. And then I set it aside. Fast foward a lifetime later... and here I am thinking it is time I ought to read To Kill a Mockingbird again. Guess what? 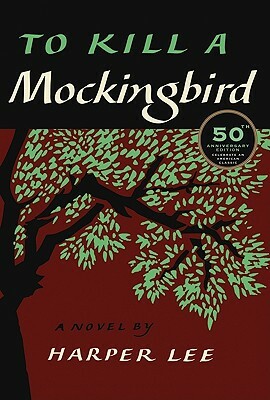 July 11 marks the 50th anniversary of the perennial classic To Kill a Mockingbird. To celebrate, more than 50 events will be running throughout the summer across the country. http://www.tokillamockingbird50year.com/ has all the info. Shoot all the bluejays you want, if you can hit 'em, but remember it's a sin to kill a mockingbird." One of the best-loved classics of all time, To Kill a Mockingbird has earned many distinctions since its original publication in 1960. It has won the Pulitzer Prize, been translated into more than forty languages, sold more than forty million copies worldwide, and been made into an enormously popular movie. It was also named the best novel of the twentieth century by librarians across the country (Library Journal). HarperCollins is proud to celebrate the fiftieth anniversary of the book's publication with this special hardcover edition. What are your memories of this book in your youthful days? Did you enjoy the book when you first read it as required reading?